The Friends of The Massasauga Park is made up of a group of volunteers that have come together to work with the Park staff to support and enhance various aspects of The Massasauga Provincial Park. The Park is situated within the 30,000 Islands of Georgian Bay and includes a large area of inland terrain west of the provincial Highway 400 south of Parry Sound. In 2009, a small group of interested people met to consider the formation of a partnership with Ontario Parks to protect the Calhoun Lodge property. Since that time, the group has grown both in numbers and in scope. Prior to being formally recognized as a "Friends" group, volunteers have partnered with Park staff in a number of initiatives such as leading trail maintenance work on Wreck Island, Moon Island and Baker's Trail, including repair and construction of signage and boardwalks. 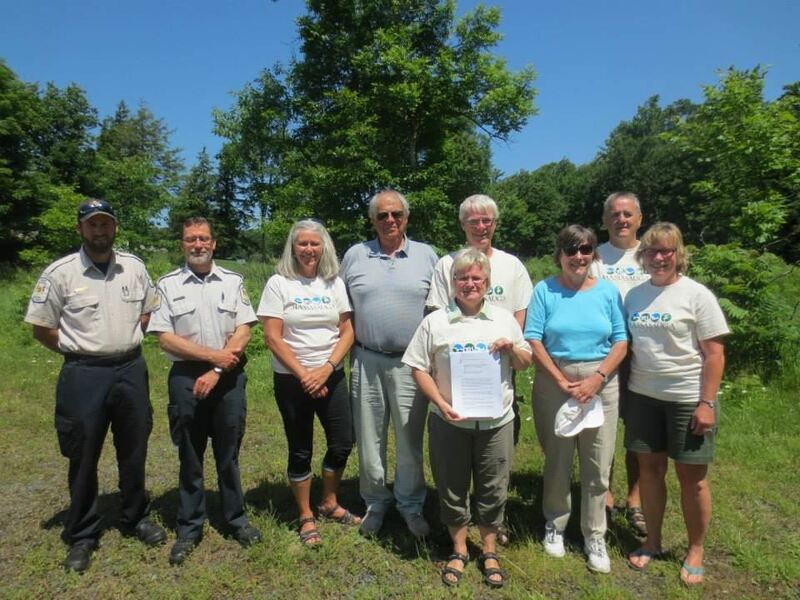 In July 3014, the group signed a Partnership Agreement with Ontario Parks, with official recognition as the Friends of The Massasauga Park. It is incorporated as a Not For Profit organization with the Province of Ontario and has achieved Charitable Status with the Canada Revenue Agency. The inaugural Board of Directors created a Strategic Plan in April 2015 that identified the Friends mission, vision and goals. This strategic plan will guide them for the next 5 years.